The Record Café01274 723143work Public HouseThe Record Café, is an independent record shop, serving real ale, craft beer and charcuterie. The mezzanine level record shop sells the latest vinyl releases, the ground floor bar and charcuterie counter serves local real ales, craft beers from further afield, continental ham platters and pork pies. Evenings see vinyl DJs and live performances. Whether you're looking to buy records or enjoy a drink, The Record Café will be a unique venue. 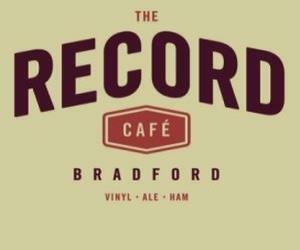 The Record Café, is an independent record shop, serving real ale, craft beer and charcuterie. Mon - Thurs 11.00 - 23.00, Fri & Sat 11.00 - 24.00, Sun 12.00 - 23.00. record shop open until 18.00. Food served until 20.00.